About 200 copies of the Declaration of Independence were printed July 4, 1776. Of the 26 known to exist today, one print resides in North Texas. There’s a rare piece of American history tucked into the Dallas Public Library -- an original print of the Declaration of Independence. It's the only copy on display west of the Mississippi River. On the seventh floor of the J. Erik Jonsson Central Library in downtown, in a dark room around the corner from the Texas History Division, the centuries-old document seems to glow within its glass display case. “This is the first time the words ‘The United States of America’ appeared in print,” says Jo Guidice, director of the Dallas Public Library. On the night of July 4, 1776, Thomas Jefferson visited a printer named John Dunlap and asked him to commit treason by printing about 200 copies of the Declaration. Of the 26 known to exist today, 23 are in the United States. “One of them is in Texas. All of the rest are on the East coast," Guidice says. 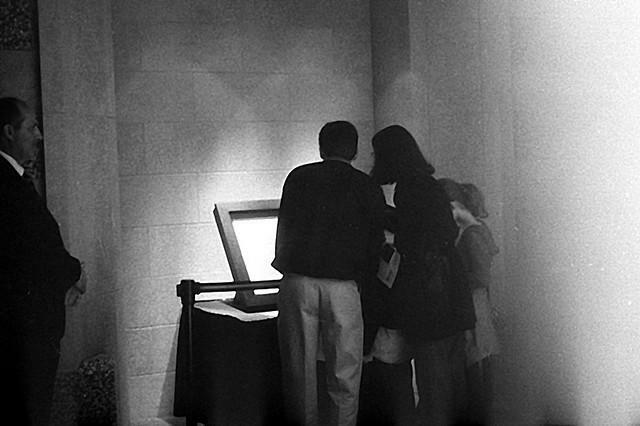 Onlookers viewed a John Dunlap copy of the Declaration of Independence displayed at the Minnesota History Center after it was found at a flea market in 1989. A Dunlap print of the Declaration is also on display in Dallas. The official Declaration was based on one of Dunlap's prints, which were sent to colonial legislatures, committees of safety and armies to declare freedom from British rule. The Declaration wasn’t signed until Aug. 2, 1776. “These were hand-printed, so every single letter was a wooden piece hand set by John Dunlap," Guidice says. "When you compare them, some of the punctuation changes and there are actually some words missing in the existing documents." The copy that lives in Dallas is a complete document. All the words are accounted for, she says. This print didn’t surface until 1968, when it was found boxed up in a closed-down Philadelphia bookstore. “It was the ‘lost copy’ of the Declaration of Independence," Guidice says. Soon after being found, it was auctioned off for more than $400,000. The highest bidders? A pair of Dallas business executives: Joseph Driscoll and Ira Corn, Jr. They put the print on a nationwide tour. Its new home: City Hall or the Library? 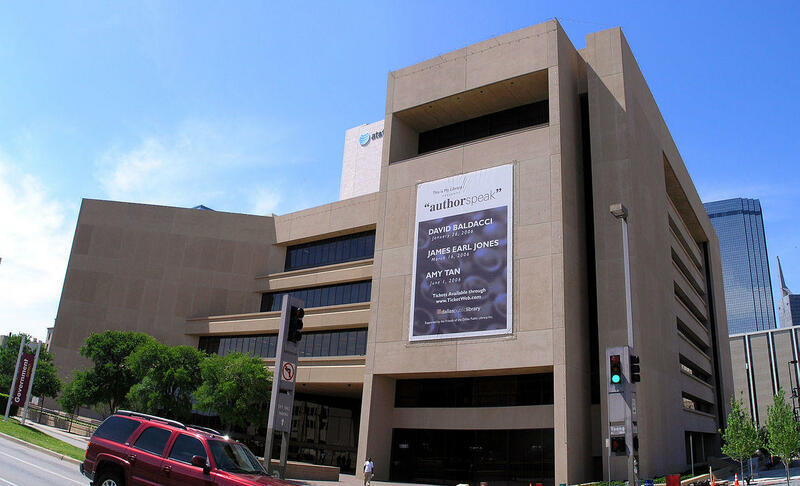 Dallas' very own Declaration of Independence resides at the downtown public library. In 1982, with the help of 15 additional donors, the city of Dallas acquired the document. It was first on display at Dallas City Hall. George Schrader, who was city manager at the time, wanted it to stay there. Library Director Lillian Bradshaw argued for a different home. “She was a very distinguished librarian. She had a good case for it and it prevailed," Schrader says. And now even Schrader is on board. "I can’t fault the decision at all,” he says. Thousands of students have filed past the copy of the Declaration on class field trips. The Declaration represents this country’s ideals, Schrader says. And the library is a good home for it, he says. He's glad a copy resides in Dallas. NPR: The Declaration: What Does Independence Mean To You? This week, Dallas is hosting top city planners and officials at two big conferences. On Friday, 200 mayors from around the country will be here to discuss issues like education and urban poverty. On Tuesday, 800 public, business and academic leaders from 40 countries are meeting in the arts district at the third New Cities Summit.